I helped build a 3D printed house! 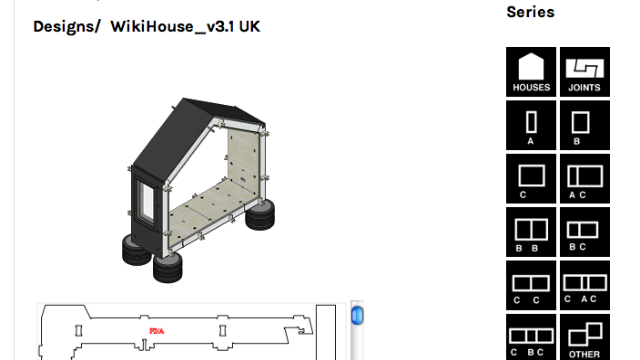 To design our house, we used the Wikihouse plugin for Sketchup. You can get this plugin for free right in Sketchup 2013. The plugin has pre-engineered modules in it designed by the Wikihouse folks that you can assemble like Legos. Once you have your models assembled in Sketchup, there is literally a button you can push to have all of your parts laid out on 4x8 sheets of plywood that you can take to your local CNC shop to have made. Our house that we built at Maker Faire consisted of 160 sheets of plywood like this, and over 1100 individual parts. Shopbot in Virginia was kind enough to cut all of the parts for us. Click here to see a gallery of pictures from the event. I've built a fair number of things in my life, and solved a lot of puzzles. This by several orders of magnitude was one of the most challenging and enjoyable things I've ever had the pleasure of helping build. As Alastair says in the video above, truly believe that this could be the future of construction. With the engineering done, and the power of design and manufacture put in the hands of all of us, we'll be able to create amazing things. Most importantly though, this could not have been done without the team that we had. All of us, many of whom had never met before all became close friends because of this experience. It's one I'll not soon forget. He was selected as a DIFFA designer. DIFFA stands for Design Industries Foundation for Fighting AIDS. What DIFFA does is get excellent designers to design these baskets that are filled with all kinds of donated product. The baskets are auctioned off and the proceeds go to AIDS research. You can see some of the baskets here. So combining great design technology, and fantastic design sense, this incredible design came to life with hardly any friction. Designers should have tools that get out of their way and let them design, and Sketchup is just such a tool. Nice work Tyler! You can find this plugin right inside Sketchup 2013's Extension Warehouse. It's free, and absolutely worth checking out.